From the outside, you would expect the 1920s school building in downtown Grinnell to be filled with students and teachers. Inside, you find yourself in Hotel Grinnell, a boutique hotel and event center that opened September 8. The transformation of the 55,000-square-foot building was an eight-year, $7 million project. 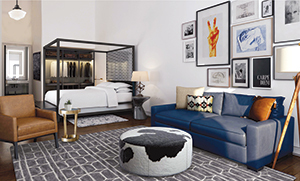 Jacqueline McGee of Boston, who has designed hotel interiors around the world, was hired to create the hotel’s look. The result is a design that is eclectic and reflects “what it is to be Grinnell,” according to Angela Harrington, co-owner and managing partner. Former classrooms have been transformed into 43 guest rooms. Glass light pendants reflect the era of the building, as does the industrial look of the iron canopy bed frames, vanities and desks. Some rooms feature desk chairs and ottomans covered in cowhide print fabrics, a stylish representation of the state’s agricultural heritage. But there’s also the international flavor of two European-style hostel rooms with bunkbeds. Each room sleeps 10, which Harrington says can accommodate a traveling sports team or a bridal party. The former school auditorium hosts weddings, as well as live performances. A onetime dressing room above the auditorium stage is now a penthouse/honeymoon suite. The gymnasium has been converted into a modern ballroom, where basketball court lines on the maple floor echo the room’s history. The original locker room space now houses the Periodic Table, a lobby bar featuring a menu of shared plate offerings. Outside, the hotel boasts a 4,000-square-foot patio with warm and inviting gas fire pits. For more information or to make reservations, visit hotelgrinnell.com or call 641.236.9250. 2018 will be the seventh year that Iowa’s Department of Natural Resources has provided guided hikes on New Year’s Day. That’s the “first day” part. The hiking is a little less certain, given the vagaries of weather New Year’s Day can bring. 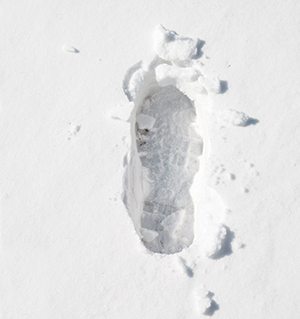 First Day Hikes are coordinated nationally by an association of state parks. The notion was introduced more than 20 years ago in Massachusetts, no stranger to winter weather. All 50 states participate now, with almost 30,000 hikers trekking more than 66,000 miles. That’s only 2.5 miles on average, less than an hour, so you can do this. You won’t be alone. Iowa musters 600 or more hikers, spread among 26 state parks. Two parks have stepped up for all of Iowa’s First Day Hikes—Walnut Woods State Park in West Des Moines and Mines of Spain State Recreation Area in Dubuque. Each had about 100 participants in recent years. Hikers in Walnut Woods choose between two hike lengths, each ending at a lodge where you can warm up beside a fireplace. and deepen appreciation for rural arts and culture. “Art is better thought of as a mechanism through which you bring people together than as a physical object,” says Iowa State Extension Community Art Specialist Jennifer Drinkwater. A current topic in many Iowa communities, she says, involves the challenge of incorporating art in economic development strategies. That may include investments in public art, community centers, arts festivals or art classes. 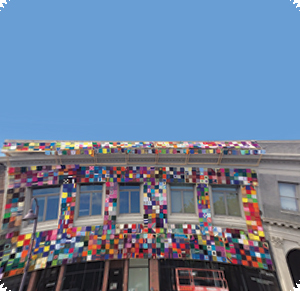 Drinkwater cites a yarn-bombing project in Ames—for which the façade of a downtown building was covered by more than 1,000 knitted or crocheted squares, as shown below—and an Art on the Prairie festival in Perry as examples in which residents created art while strengthening community relations. Other buzz-worthy community art projects include creating a visual arts center in Algona, incorporating an artist component in the conversion of a vacant school in Charles City, and building a cultural center in Fort Dodge, according to Zachary Mannheimer, who focuses on creative placemaking for rural communities as a principal community planner at McClure Engineering in Clive. For more information, visit ruralgeneration.org. Krista Dolash is carving out a niche in the multibillion-dollar cosmetics industry with Root, a Waverly, Iowa-based natural and organic makeup company that has green beauty bloggers buzzing. The business grew from a hobby, which stemmed from Dolash’s desire to eliminate toxic chemicals from her everyday life. Reading the ingredients on the supposedly natural makeup she was using, she discovered a list of what she considered to be harmful fillers. “I felt misled and honestly kind of bummed out,” says Dolash. That prompted her to order raw ingredients and start formulating her own vegan, gluten-free mineral-based foundation in her kitchen. Soon, the mother of three and former graphic designer was mixing makeup for friends. In October of 2013, Root launched online at rootpretty.com. The vividly pigmented products, with their hot pink packaging and affordable prices (pressed eyeshadow is $12 and lipstick $16, for example), were a hit. Root launches an annual social media contest to select spokesmodels—everyday influencers who post tutorials highlighting, say, the latest lip color or a trendy technique. 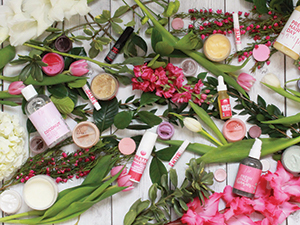 Partnerships with beauty bloggers also help the brand reach new audiences, and one-day pop-up shops across the state help build a fan following. Online sales make up the bulk of Root’s business, but it was important to Dolash that she provide in-person customer service. The company, which now employs a team of 30, recently opened stores in Iowa City and Cedar Falls in addition to its flagship inside a historic downtown Waverly bank building. Although Dolash was approached by a large retailer to license Root, she felt that would compromise her ability to offer personal customer service and premium ingredients affordably. Instead, she’s focused on expanding into lines for hair, home and skincare and keeping the company’s growth as organic as her products. The Loess Hills of western Iowa produce wine that boasts a unique flavor and quality, prompting its designation as a certified American Viticultural Area (AVA) by the U.S. Department of the Treasury’s Alcohol and Tobacco Tax and Trade Bureau. The 12,897-square-mile Loess Hills District Viticultural Area is the only AVA, and the only place on Earth, where the entire grape vine root is encompassed in the rich, porous loess soil. Grape vine roots can extend 20 feet into the ground, and as the old winemaker’s saw goes, “Grapes don’t like wet feet.” Other AVA districts, like Napa and Sonoma valleys in California, have the designation because of their climate. The Loess Hills themselves add to the region’s grape-growing prowess by aiding drainage, and natural temperature variations between hilltops and valleys help leaves dry quickly to thwart fungus and provide protection from late and early frosts. To seize a marketing opportunity, the Western Iowa Grape Growers Association has developed the Loess Hills District Wine Trail. It’s the only wine trail in the state that requires wines made there to have the AVA label, meaning 85 percent of grapes used are grown entirely in the loess soil. Nine wineries are stops on the trail. 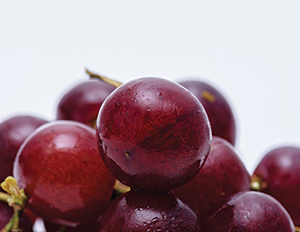 Grapes were first grown in Iowa in the mid-1800s, and the state ranked sixth in the nation in grape production in 1919, before row crops, herbicides and severe weather put a damper on the industry. Since 2000, grapes have been making a comeback, with the state now scoring 97 wineries and 316 vineyards. “This is more renaissance than pioneering effort,” Grave says. Zack Jones’ hometown somehow looked better to him after he’d been away for a decade. A professional artist, Jones grew up in Malvern—population 1,200—then moved to Arizona. He returned in 2006 and became the force behind one of the town’s attractions, 1873 Project Art Church. Jones spent $10,000 in 2012 to buy the community’s historic former Presbyterian church. Several loans later, the church’s lower level has been transformed into an art studio/rental apartment that’s now a respite for travelers or a destination for weekend getaways. Most guests make reservations through Airbnb.com. 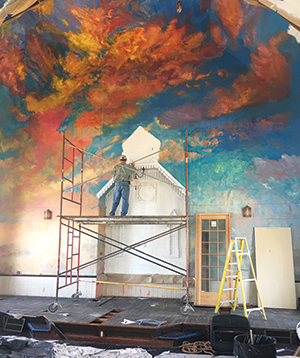 In the church’s 27-foot sanctuary—idle since 1969—Jones is painting a 360-degree sky scene mural (pictured). The space will become a venue for weddings and private events. Jones is a tireless cheerleader for Malvern’s other attractions, including cafes, an art studio and a redesigned golf course, plus other historic preservation projects. “Downtown got a Community Development Block Grant, and 19 facades got a face-lift,” Jones says. 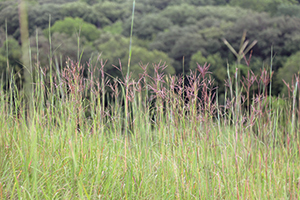 Visitors can enjoy the nearby Loess Hills National Scenic Byway and the 63-mile Wabash Trace Nature Trail that runs through Malvern. 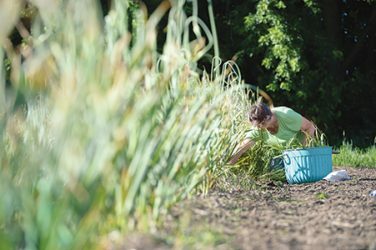 In the summer, the town is alive with weekend music and a farmers market, plus the annual Southwest Iowa Art Tour. 1873 Art Church is located at 201 E. Fourth St. For more information, call 480.628.9234. In southeast Iowa, Bloomfield, population 2,600, is projected to achieve energy independence by 2030—while boosting the local economy and saving money for residents, businesses, the city and its municipal utility. “They’ve already done a lot to start moving in that direction,” says Jeff Geerts, special projects manager for the Iowa Economic Development Authority and a member of Bloomfield’s energy project team. Geerts saw the town’s potential and connected it with the Iowa Association of Municipal Utilities. The association conducted a study and agreed that Bloomfield could become a net-zero energy community—even though it has historically bought all its electricity and natural gas. Hiring an energy efficiency director. Engaging Americorps volunteers to talk to homeowners about energy audits and improvements. Employing two teams from the National Civilian Community Corps—one to inventory the town’s tree canopy, which can contribute to energy efficiency, and another to replace all the light fixtures in the town’s largest school with LEDs. Providing technical assistance to grocers and restaurants to improve energy efficiency. Installing efficient LED bulbs in streetlamps. Converting some power generators from diesel to natural gas. 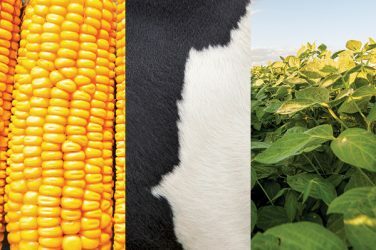 if anaerobic digesters fueled by local cattle manure and sawdust could generate enough heat and methane gas to be worthwhile. Evaluating the town’s wastewater treatment plant, looking for opportunities to save energy. Further steps are under consideration, including replacing all gas, electric and water meters with specialized units that help reduce peak loads. Another idea: building a solar array to feed power into the utility grid. 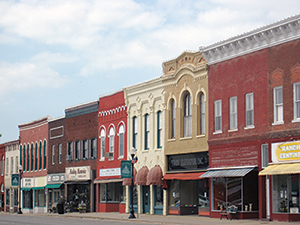 To a savvy entrepreneur, Winterset might seem a strategic location for introducing a unique new business. But Iowa newcomer Tara Coit didn’t know about the magic of Francesca and Robert when she decided to open Mickalina’s Perfumerie on Winterset’s town square in late 2016. Coit, 43, started perfuming in 2008, training in New York, Los Angeles and Paris under “noses,” or perfumers, who specialize in identifying scents. She now creates finished perfumes and lotions, as well as unique scents for weddings, salons and small businesses. 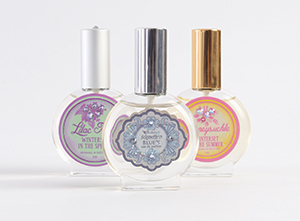 But Coit’s primary focus is a scent customization service, often arranged for duos. “I’ve done a lot of dates, couples, best friends, and mothers and daughters,” Coit says. Customization costs from $45 to $85, depending on bottle selection. Customers also can purchase custom mixes of popular common scents such as sandalwood, lemon or vanilla. The shop is located at 207 N. First Ave. For more information, call 304.216.4836 or search for “Mickalina’s Perfumerie” on Facebook. 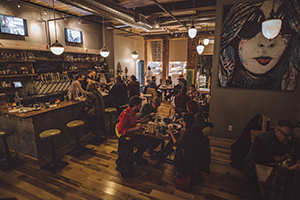 When Andy and Carrie Schumacher were looking for a location for their new Cedar Rapids restaurant, Caucho, they decided they wanted to go NewBo, with a site in the city’s Czech Village/New Bohemia Main Street District. Quinton McClain opened Lion Bridge Brewery in an 80-year-old building in Czech Village. “People are drawn to this area because they feel like they’re in a special place having a unique experience,” he says. The Czech Village/New Bohemia Main Street District, located just south of downtown Cedar Rapids, straddles the Cedar River. Czech Village is on the west bank, while New Bohemia—called NewBo by the locals—is on the east. Hundreds of Czech and Slovak immigrants settled in this area in the late 1800s. Today, the district retains its Bohemian spirit while attracting new businesses and urban-style housing. The district is also a center for arts and culture. The National Czech & Slovak Museum & Library and the African American Museum of Iowa are here, as is Legion Arts, which presents visual artworks and live music and theater in the historic CSPS Hall. The landmark Cherry Building nearby is home to a bevy of artists and the Iowa Ceramics Center and Glass Studio. And the NewBo City Market features vendors’ food and artisan creations, as well as culinary demonstrations. For more information on the Czech Village/New Bohemia Main Street District, visit crmainstreet.org.